Jens Soering has up been eligible for parole eight times since his conviction in a double murder more than two decades ago. This last parole hearing didn't go much differently than the first seven. 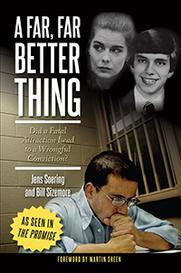 Soering was denied by the Virginia Parole Board on October 3rd. 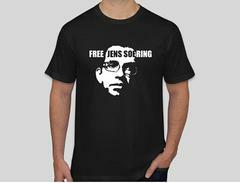 The son of a German diplomat, Soering would be deported following his release from prison. At his latest parole hearing, officials with the German government wrote letters in his support, saying Soering was not a risk to the German community. In all 54 Members of Parliament signed letters supporting Soering's release and return to Germany. It wasn't enough to sway the parole board, who cited the serious nature of the crime as reason for keeping Soering behind bars. The 46-year-old was convicted of murdering the parents of his girlfriend and fellow UVa student, Elizabeth Haysom, in their home in Bedford County in 1985. Soering has been behind bars for the past 26 years and has been eligible for parole since 2003.